Pearson's Assessment Training Institute (ATI) was founded by Rick Stiggins to help teachers improve student achievement by integrating student-involved classroom assessment into day-to-day instruction. Teachers act on more than test data; they also act on information gathered daily in the classroom. That information needs to be accurate and they need to know how to use it well. To attain the achievement gains promised by the research on formative assessment, the ultimate user of assessment information must be the student. 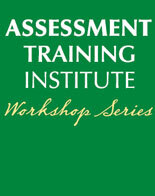 ATI's research-based approach uniquely emphasizes the role of the student in the assessment process. The ATI learning team model of professional development is flexible, job-embedded, on-site and cost-effective. Hands-on practice allows teachers and administrators to learn how to make assessment an integral part of teaching and of their students' learning experience.